Are you looking for someone to cater your next event? Well, Palio’s Pizza Cafe is the perfect option. Pizza, Pasta, Salads, and Desserts! 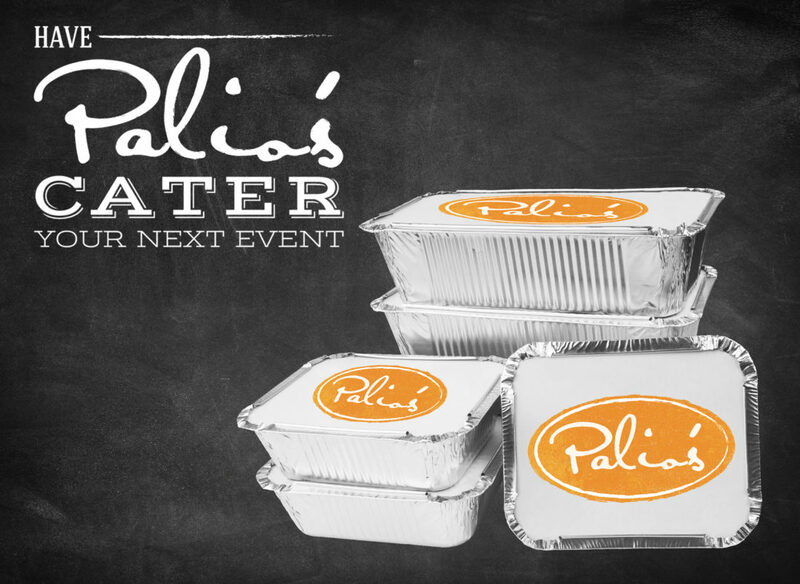 The extraordinary flavors of Palio’s pizzas and pasta are now available for catering your next event! Whether you are hosting a work luncheon or a rehearsal dinner, our homemade sauces, fresh doughs, veggies, and meats make the perfect meal for any get-together. You can select from our full menu and we will provide the exact food you want. Everyone loves our pizza, but if you are wanting pasta or salads, we have those too! And they are highly recommended by all who have tried them! If you need catering done for an event in Dallas/Fort Worth, put your trust in a brand with several locations throughout the metroplex.